And here you can see the full collection. The other colours are valerian - a deep, inky blue shade, and the blood red sardonyx. 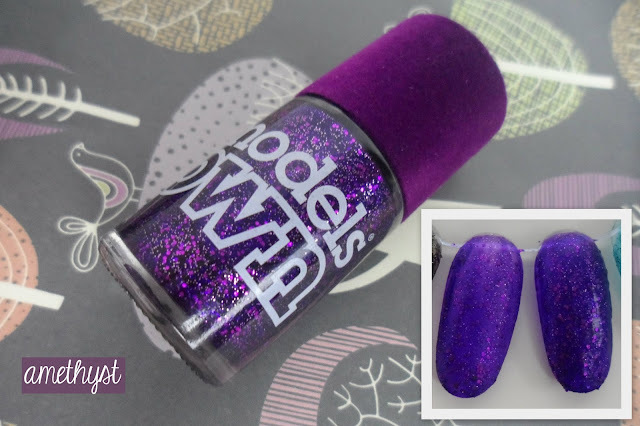 The models own velvet goth collection will be available from 24 August at the models own bottle shop and then from 2 September at modelsownit.com and everywhere else from 4 September, and the polishes will be £5 each. Are you tempted by velvet goth? 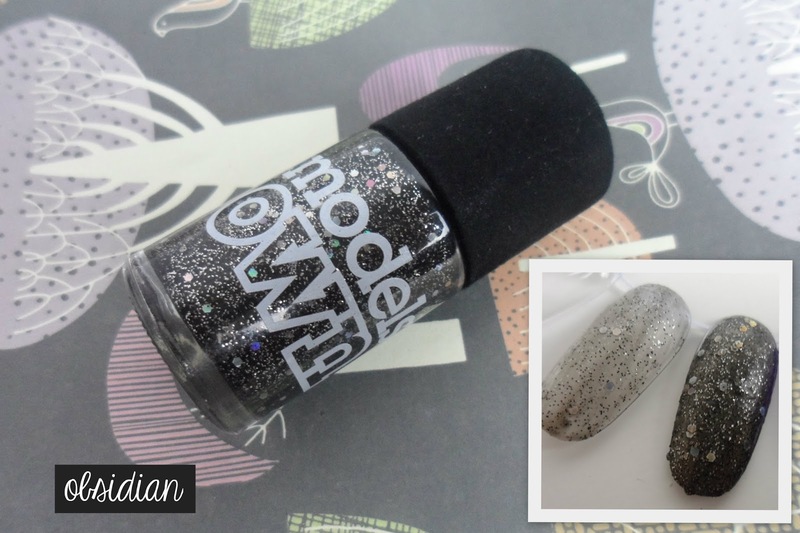 I'm not too sure I am going to run out and get these, they don't seem too dramatically different from normal glitters. They look quite snazzy. Definitely not for everyday wear but I'd consider it if I was going to a party. pretty! I can't wait for these!